The following pages are a transcription of the booklet published in 1937 by the late Edward O'Toole of Rathvilly. 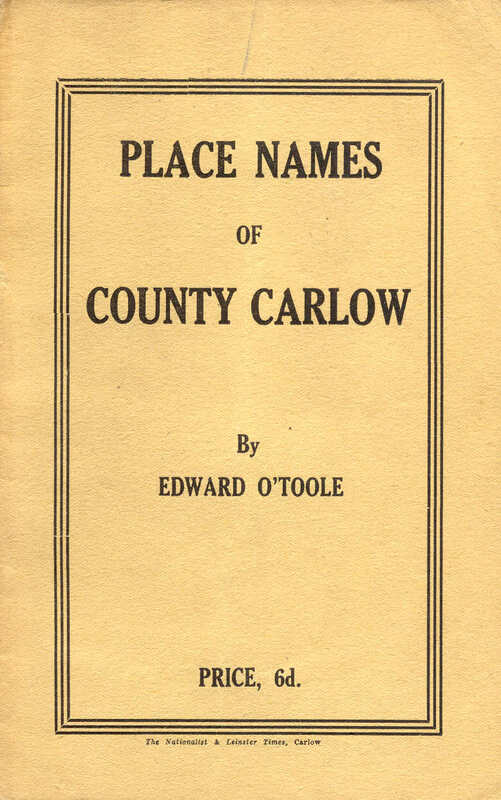 It was titled 'Place Names of County Carlow' by Edward O'Toole and the price was 6d. It was printed by the Nationalist and Leinster Times, Carlow. We think he was a teacher in Rathvilly.